The University of the Pacific McGeorge School of Law created Community Legal Services over 40 years ago to provide pro bono legal services. Over the years Community Legal Services has evolved into three specialized clinics: Bankruptcy, Immigration, and Elder and Health Law. The three clinics are staffed by 35 to 40certified law students, who receive law school credit and work under the supervision of three licensed attorneys. Located in the economically depressed Oak Park neighborhood in Sacramento, California, Community Legal Services is a vital link between the law school and the community in that it allows law students to represent clients who, because of economic or social barriers, cannot afford or secure adequate legal counsel. Along with its other clinics—Criminal Appellate Advocacy, Administrative Adjudication, Prisoner Civil Rights Mediation, and Federal Public Defender—Pacific McGeorge offers rich, experiential learning for law students as well as legal representation and advocacy. The law school clinics expanded their advocacy into the legislative and public policy arena in the fall of 2013. The Legislative and Public Policy Clinic is a yearlong clinic that immerses students in the legislative and political process of state government. Developed and supervised by Rex Frazier (McGeorge Class of 1999), an experienced attorney and lobbyist, the clinic fosters collaboration and synergy among the McGeorge legal clinics, policy classes, and the Pacific McGeorge Capital Center for Public Law and Policy. The clinic is the only program of its kind in California and gives students practical experience in researching, drafting, and advocating legislative and regulatory changes in the state. Students interact with elected and appointed officials in state government, their staffs, lobbyists, and public affairs professionals. Students have an opportunity to develop political coalitions, interact with the media, and advocate change. In its first year, four out of its five bills were signed into law by Gov. Jerry Brown. Among the legislative clinic’s priorities is to remedy legal and policy gaps that are identified through cases in its sister clinics. Here I look at one bill, A.B. 2623, which was drafted in response to a series of cases handled by students in the Elder and Health Law Clinic. The students represented several clients to obtain elder abuse restraining orders to protect the clients from their abusers. In the course of their legal advocacy, however, the students realized that law enforcement response to these crimes was severely lacking and that peace officers needed more education and awareness as to the civil protections available to victims of elder abuse. The law students, Jacob Smith and Vincent Wiraatmadja (both in the McGeorge Class of 2014), started their work in the Elder and Health Law Clinic as summer 2013 work-study students. Among the many clients they represented were two women who had been victimized—both physically and financially—by their adult sons. In the one case, Ms. M and her friend of many years had lost touch. Her friend was determined to resume their friendship, and, upon locating Ms. M, she was shocked to find that Ms. M was being starved, isolated, and physically abused by her adult son. Ms. M’s friend called Adult Protective Services, which arrived with law enforcement officers in tow. Ms. M was found to be emaciated, dehydrated, bruised, and without access to food. An unregistered and loaded gun, owned by the abusive son, was in plain view on the kitchen table. Although the son was present, no arrest was made. Ms. M was taken to the hospital and then to the senior safe house to recover. Adult Protective Services referred Ms. M to the Elder and Health Law Clinic, and the students filed an Elder and Dependent Adult Abuse Temporary Restraining and Move-Out Order, which was approved in a matter of days so that Ms. M could safely return home once she was medically stable (see Cal. Civ. Proc. Code § 527.9 (2015); Cal. Welf. & Inst. Code § 15657.03 (2015)). With the assistance of the law students, Ms. M found the strength to testify in court and secure a permanent restraining order against her abusive son. The other client, Ms. S, summoned the courage to call law enforcement for protection from her son. She made over 30 calls and finally was advised that she had the right to file a restraining order. Ms. S found her way to the Elder and Health Law Clinic, and in a matter of days the certified law students at the clinic filed an Elder and Dependent Adult Abuse Temporary Restraining and Move-Out Order on her behalf. After Ms. S and her advocates appeared in court, the orders were made permanent for the maximum five years allowed under California law. The students were outraged over the lack of awareness on the part of law enforcement. Although elder and dependent abuse is a crime under California Penal Code §§ 368 and 368.5, and responding officers could have obtained an immediate emergency restraining order, neither team of officers chose to do so; nor did they advise Ms. M or Ms. S of the legal protections available to them. After seeing firsthand the gaps in the legal system, Smith and Wiraatmadja jumped at the opportunity to participate in the Legislative and Public Policy Clinic when classes commenced in the fall of 2013. Drawing on their experience in the Elder and Health Law Clinic, they quickly keyed in on the need for a legislative solution to increase awareness on the part of law enforcement officers that elder and dependent adult abuse is a crime to be taken seriously. They spent their 2013 fall semester doing homework on the best strategy to increase law enforcement awareness. Their research showed that although existing law required that elder and dependent adult abuse be included in the Peace Officer Standards and Training at the police academy, the statutes were silent as to what that training should include. Their proposal added the requirement that the training include the availability of elder abuse emergency protective orders, emergency move-out orders, and temporary restraining orders, as well as the community resources available to assist elder and dependent adults in these situations. They hit the streets using old-fashioned networking. Each person with whom Smith and Wiraatmadja met suggested that they meet with someone else. They met with adult protective service social workers, elder law advocates, law enforcement agencies, and disability rights groups. They arranged meetings with attorneys and lobbyists who dealt with elder justice issues. They shared their research, which showed that perpetrators of elder and dependent adult abuse were rarely arrested or prosecuted. They pointed out that while domestic violence was no longer seen as a private family matter, such was not the case with elder abuse. Discussing their idea with all of these stakeholders helped them hone their proposal into a simple yet effective change in the law. Every law enforcement officer who is below the rank of supervisor and is assigned to patrol duties and would normally respond to elder abuse reports or incidents of domestic violence shall complete an updated course of instruction on elder abuse every two years. The training shall specifically include the legal rights of, and remedies available to, victims of elder or dependent adult abuse pursuant to Section 15657.03 of the California Welfare and Institutions Code, including emergency protective orders, the option to request a simultaneous move-out order, and temporary restraining orders. The proposal added Section 368.7 to the California Penal Code. That section called for responding officers to give a “Victims of Elder Abuse” card listing the telephone number for the local Adult Protective Services agency and other public and private resources for the victim and to inform the victim of the right to obtain a protective order directing the abuser to leave the household. Often called a “palm card” because officers use similar cards to give information to victims discreetly, the card requirement in the bill aimed to increase awareness on the part of victims and responding officers alike. In the Elder Law and Social Policy class, Smith and Wiraatmadja had their draft bill vetted by a panel of current and former legislators, lobbyists, government officials, and their fellow students. They looked to their Legislative and Public Policy Clinic colleagues who worked in the state legislature for introductions to legislators and their staff. Smith and Wiraatmadja pitched the bill to several members of the legislature. They appealed to potential bill authors on the politics as well as on the merits. Because all this happened in an election year, Smith and Wiraatmadja found the bill to be a relatively easy sell: the bill sought to protect the elderly (who vote) while increasing training for law enforcement. They pointed out that the bill offered a single vehicle through which a legislator seeking reelection could claim to be protecting the elderly while supporting law enforcement and being tough on crime. As of 2010, there were 4.2 million people aged 65 years or older in [California]. Based on monthly reports sent by local Adult Protection Services offices, the Attorney General estimates that 200,000 elders or dependent adults are abused each year. By the year 2021, the elder population in California will reach 7.7 million people, as the last parts of the Baby Boomer generation reach 65. Given the projected rise in the elder population, the so-called “Silver Tsunami,” there will likely be a proportional rise in the number of elder abuse cases. This bill is a way to prepare for this rise before the demographic projections and associated rise in abuses become a reality. This bill will add to the elder abuse training officers receive in the Academy. These additions include training in the use of civil remedies such as Elder Emergency Protective Orders and the use of local resources for elder abuse. These modules will be added in order to increase officer awareness of alternative measures to arrest that are available to victims of elder abuse. In addition, the bill calls for a refresher course on elder abuse occurring every two years. This course would be similar to the mandatory domestic violence refresher courses that already exist [California State Assembly Committee on Public Safety, Bill Analysis A.B. 2623, at 3 (2014)]. By the time the bill was heard in the California State Assembly Committee on Public Safety, registered support was obtained from the Retired Public Employees’ Association of California, the California Association of Public Authorities for In-Home Supportive Services, the California Long-Term Care Ombudsman Association, and Disability Rights California. The Elder Law Clinic of the Pacific McGeorge School of Law was listed as the bill’s source. The bill passed without opposition and with unanimous, bipartisan support. Although not formally opposing the bill, law enforcement groups were resistant. They were concerned by the language that required refresher training every two years. The police representative argued that training would be cost-prohibitive and further stretch overburdened police departments. They expressed similar concerns about the victim-card requirement. The students concluded that to get the bill through both houses of the legislature, law enforcement buy-in was critical. After striking a compromise that removed the refresher training and victim-card requirement, the California Police Chiefs Association came on board when the bill was heard by the next legislative committee, the California State Assembly Committee on Aging and Long-Term Care. Additional support was obtained from the American Federation of State, County and Municipal Employees and the AFL-CIO. Alongside organizational support, the law students identified and prepared individuals who spoke in support of the bill at each legislative hearing. The bill passed out of the Assembly, was heard by the Senate Public Safety Committee and the Senate Appropriations committee, and ultimately came before the entire Senate for a vote. All along the way, the bill faced no opposition and passed with unanimous, bipartisan support. Governor Brown signed the bill into law on September 29, 2014. Peace officer training must now include specific training on the legal rights available to victims of elder or dependent adult abuse—emergency protective orders, the right to request a simultaneous move-out order, and temporary restraining orders. When producing new or updated training materials on Section 15657.03, the Commission of Peace Officer Standards and Training must consult with the Bureau of Medi-Cal Fraud and Elder Abuse, local adult protective service offices, the Office of the State Long-Term Care Ombudsman, and other subject-matter experts. In direct response to A.B. 2623, California’s Bureau of Medi-Cal Fraud and Elder Abuse has led in developing new content for Peace Officer Standards and Training. The bureau is convening meetings with representatives from law enforcement, Adult Protective Services, ombudsmen, and other stakeholders to develop scenarios covering these issues. The Elder and Health Law Clinic will be following up with the bureau and the Commission of Peace Officer Standards and Training to monitor implementation of A.B. 2623 and to offer the clinic’s own subject-matter expertise in the development of the mandated training. Smith and Wiraatmadja have graduated and are continuing to work for the public good. Smith works in a small, private law firm handling elder law cases. Wiraatmadja works in a lobbying firm, whose clients include health care providers and others concerned about improving access to health care. None of this would have happened, however, without the courage of Ms. M and Ms. S, the two frail, elderly women who agreed to share their experiences and allow their stories to be told. Originally published on the Clearinghouse Community; see the original post here. As the NPR and ProPublica’s series continues to reveal the raw deal that workers’ get if they are hurt on the job, OSHA director David Michaels weighs in: “If employers whose workers are being injured had to pay the true cost of these injuries, these employers would have real incentive to prevent the injuries from occurring…Instead, workers, their families and taxpayers are subsidizing these dangerous employers.” I couldn’t agree more. Although workers’ comp is a no fault system, lax safety practices and short cuts result in a significant number of injuries. If policy makers, legislators and regulators decided that safety was a priority and that prevention and regulatory enforcement was the best way to reduce costs, a sea of change in the reduction of human suffering would result. Our investigation, in partnership with NPR, found that since 2003, more than 30 stateshave cut workers’ comp benefits, created hurdles to getting medical care or made it harder to qualify. The changes have resulted in devastating consequences for some of the hundreds of thousands of workers who suffer serious injuries at work each year. The report noted that workers’ comp pays just 20 percent of the overall financial cost of workplace injuries and illnesses. Is it illegal for insurance companies to hire private investigators to stakeout an injured person’s home? What about video recording their daily activities? Many of you may be shocked by the answer to both of those questions: no. Why not, you ask? Read the full article below. This shared post comes from Leonard Jernigan. What is the maximum benefit amount I am able to receive? For most recipients, the higher figure will be choice a., 80% of the average current earnings; therefore, this is the figure that the SSA will most likely use when calculating your offset amount. How does the SSA calculate my average current earnings? How does Social Security calculate average current earnings? It takes the highest one of the following three amounts. the average monthly earnings from a single calendar year, either the year your disability began or any one of the five calendar years before that year. For most SSDI recipients, the highest figure comes from c., the average monthly earnings from a single calendar year. Therefore, in order to calculate a recipient’s applicable limit, the SSA will most often calculate 80% of your average monthly earnings from a single calendar year, either the year you began receiving SSDI or one of the 5 years prior to that. Once my average current earnings are calculated, how does the SSA reduce my benefits? Once the SSA calculates 80% of your average current earnings, they will then look to see how much you are earning from your SSDI and workers’ compensation benefits combined. They then see if this amount is higher than your maximum benefit and, if it is, then they will reduce your SSDI benefits until your total benefit is the maximum allowed. So, as an example, let’s say that in her highest year of earnings, Sara earned $2000 per month. She now receives $1300 per month in SSDI benefits and $800 per month in workers’ compensation benefits. Sara’s maximum benefit is 80% x $2000, or $1600. The amount she is receiving now is $1300 + $800 = $2100, or $500 more than she is allowed. Therefore, the SSA would reduce Sara’s benefits by $500 per month, bringing her SSDI benefit down to $800 per month. She would continue to receive this reduced amount until she reached full retirement age and began collecting social security retirement benefits. What about lump sum workers’ compensation benefits? In case you weren’t already confused by all of the information above, things get even dicier when it comes to lump sum workers’ compensation benefits. Let’s say Jim, 26 years old, is receiving $1500 per month in SSDI benefits. His maximum allowable benefit is $1600 per month. He receives a lump sum workers’ compensation award of $20,000. How will the SSA calculate whether, and by how much, his SSDI benefit should be reduced? When a worker receives a lump sum workers’ compensation benefit, that benefit is usually accompanied by an agreement which outlines how that lump sum amount should be broken down. If it does not, however, then the recipient will suffer the consequences. The SSA, without appropriate language telling them how that benefit equates to a monthly amount, will be able to use their own formula to calculate the required offset. And the formula(s) used by the SSA are often not to the recipient’s benefit. 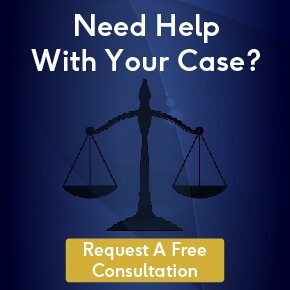 This is where having the expertise of a well-practiced attorney can make all the difference. Let’s say Jim’s attorney knew what he was doing, and he used his familiarity with the law (and with Jim’s individual circumstances) and included language in the lump sum agreement which said that the lump sum amount was calculated as $50 per month for 400 months ($50 x 400 = $20,000). Because Jim is receiving $1500 per month in SSDI benefits, and his maximum allowable benefit is $1600, then the SSA would not offset Jim’s SSDI at all. That’s because Jim’s new monthly benefit amount would be $1500 SSDI + $50 workers’ compensation = $1550, less than the maximum benefit of $1600. While many recipients are likely to have their SSDI benefits reduced by some amount, nearly all of them will have their benefits reduced by less if their workers’ compensation lump sum benefit agreement is written by a knowledgeable attorney. The SSDI benefits application process is a stressful one. But if you have been injured or fell ill as a result of your employment and are therefore eligible for workers’ compensation benefits, the waters become even more murky. Because you have been injured and are unable to work like you used to, you need to be more mindful of your income and expenses than ever before. Hiring an experienced workers’ compensation and SSDI benefits attorney can help to ensure that you are collecting the maximum amount of benefits in order to help you and your family survive during this difficult time.